Since the unveiling of the new iPhone, I have been itching to try out some of their newest accessories. I was pleased to receive in my mailbox the more new ones for the iPhone X. 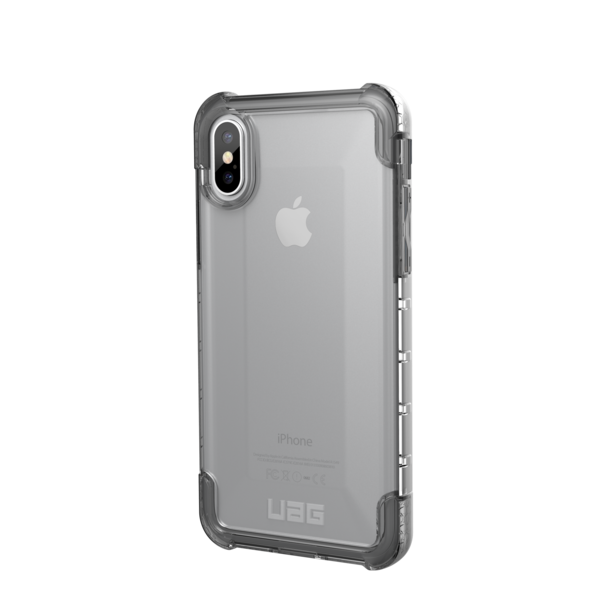 Today, I will discuss the PLYO and Monarch Series from our old friend, UAG (Urban Armor Gear). Just as a reminder of the iPhone X, it was kind of a “one more thing” at Apple’s big event on September 12. The iPhone 8 will accommodate last year’s iPhone 7 model, but the iPhone X is an entirely different animal. It has a big price and a 5.8-inch screen that goes from edge to edge, with no home button. I would imagine that it would be difficult to design a case for the iPhone X with its all-screen design. It’s pretty clear that they went with the hard plastic route, and the PYLO has a clear look, at least on its backside. It is entirely different feel than the edges, which are very soft and flexible. It is designed to clearly be cushioning the sides, and the tactile buttons stand out well. Of course, it is set up to meet military drop-test standards. It’s all very great, and it is pretty light as well. Just to let you know, it is set up for Apple Pay and the wireless charging feature. It’s a solid case, and can be purchased on the UAG site for $39.95 in Ice (Clear), Ash (Gray), and Crimson. I’ll start by explaining that the Monarch is similar to PYLO, as it is Apple Pay and Wireless charging compatible, but it is a different set-up. Unlike the PYLO, it isn’t made with a solid plastic mold, but it boasts “5 layers of protection”. Part of these layers is grain leather and alloy metal hardware. 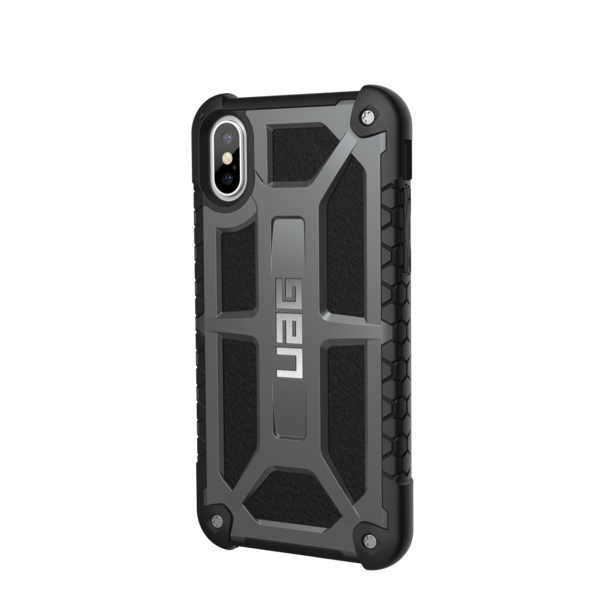 The end result is what has become almost a trademark for UAG with what looks like steel framework and black fill-in. Yeah, I can’t figure out how to describe it either, but there are some weird screws in it. As for the sides, they are very soft with “honeycomb traction grip”, which you can see in the picture is aptly named. The tactile buttons are also prominent, which is also a part of their “premium design and precise engineering”. The Monarch case is also available on the UAG site in Graphite, Platinum, Crimson, Black, and Carbon Fiber for $59.95.